That’s the question I hear every time I give my daughters an ice pop. I explain to the girls that water, or juice, in the case of a Popsicle, is made up of a bunch of tiny particles. When it’s cold, these particles clump together and become a solid – ice! When it’s warm, the particles separate and get moving again, turning back into liquid. It’s important to think about this on a bigger scale. And that’s exactly what Popsicle is doing. Through a partnership with National Geographic Kids, they’re helping Slow the Melt… the melt of the polar ice caps! Kids can learn a lot from this campaign. Whether it’s remembering to shut off the lights every time they leave the room or turning off the water while brushing their teeth, there are very easy steps we can all take to help. In fact, National Geographic Kids created 10 simple things kids can do every day to help slow the melt of the polar ice caps! Join us for the #SlowTheMelt Twitter Party to learn more! When? This Wednesday, July 14th, 2010 6-8pm EST There will be prizes, including coupons for free Popsicle and much more! 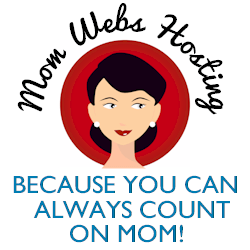 @MomReviews ~ @MomSpark ~ @RaisingMy4Sons ~ @RaisingOlives and me, @ohMariana! Can you make it to the party? Be sure to RSVP here! Remember that Popsicle is giving kids the chance to win some awesome prizes in the Anything’s Possible With Popsicle Sweepstakes. Three lucky families will get to dig for dinosaurs in Wyoming, swim with dolphins in Florida, or explore the universe by attending Space Camp in Alabama! To enter the contest, save your Popsicle sticks! Then go to Popsicle.com/possibilities and submit the riddle answer printed on your stick. The ends on September 30, 2010, but you can enter every day! The daily prize is the National Geographic Kids “Big Book of Fun”. Disclosure: I’m a Popsicle Brand Ambassador! I wrote this post as part of a compensated Mom Bloggers Club member program, but all opinions are mine alone. I’m actually tweeting from @MomReviews, not @Table4Five since that’s the blog where I’m doing the posts for Popsicle. Would you please mind editing your post when you get a chance? Jennifer is changing the Popsicle Moms twitter page. Thanks!